The Konica Minolta BizHub C451 is a multifunction printer that offers superb performance even for the busiest workplace in a compact, stylishly designed package. With its uncanny speeds in producing monochrome and color prints and deft scanning quality, the Konica Minolta BizHub C451 is a multifunction machine that rivals most printers in its class. For working environments with serious demand for high-volume and speedy production, the Konica Minolta BizHub C451 is one perfect choice. The Konica Minolta BizHub C451 takes printing speeds to a whole new level among multifunction printers with a rate of 45 pages per minute. As impressive as this sounds, this speed applies for both monochrome and color prints, a feature that is rare multifunction devices. The Konica Minolta BizHub C451 also maintains a resolution of 1800 dpi, relatively higher than what most printers in the market offer, even for single function printers. It runs using a MPC7448 867MHz processor that is shares with copier function, with a 1GB memory that makes the Konica Minolta BizHub C451 capable of handling multiple tasks simultaneously with ease. The Konica Minolta BizHub C451 also comes in with a 60GB hard disk drive for storing large amounts of data. 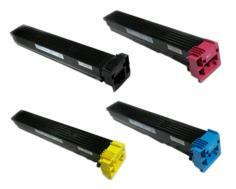 The hard disk drive is also shared between the printer and copier functions. Operating system support offers a wide range of platforms, from Windows, Mac and various Linux/Unix distributions. 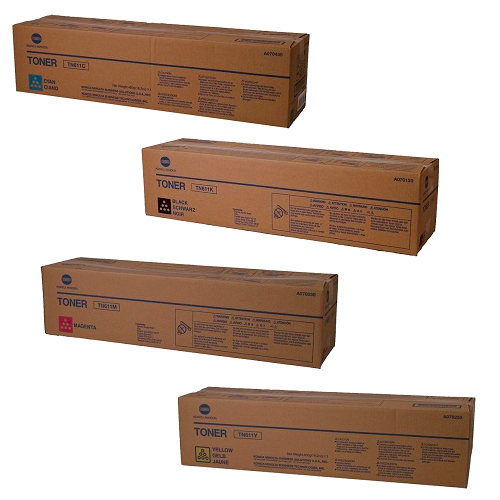 The Konica Minolta BizHub C451, along with its remarkable speed, also has capabilities for high-volume production, with its high capacity paper trays. 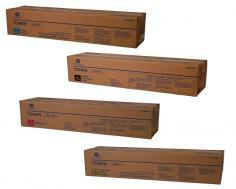 Top and middle trays each have a 500-sheet capacity, while bottom left tray has 1,500-sheet capacity. Bottom right tray is capable of handling 1,000 sheets, and a multiple bypass tray for handling thicker media has a top capacity of 150 sheets. The scanning function for the Konica Minolta BizHub C451 has an unprecedented speed 70 scans per minute (scm) for monochrome with 300 dpi and 55scm for colored color, with a 600 dpi. Scan options include Scan to Email, Scan to FTP, Scan to Box and SMB, with its output formats single TIFF, Multi TIFF, JPEG, PDF and Compact PDF. 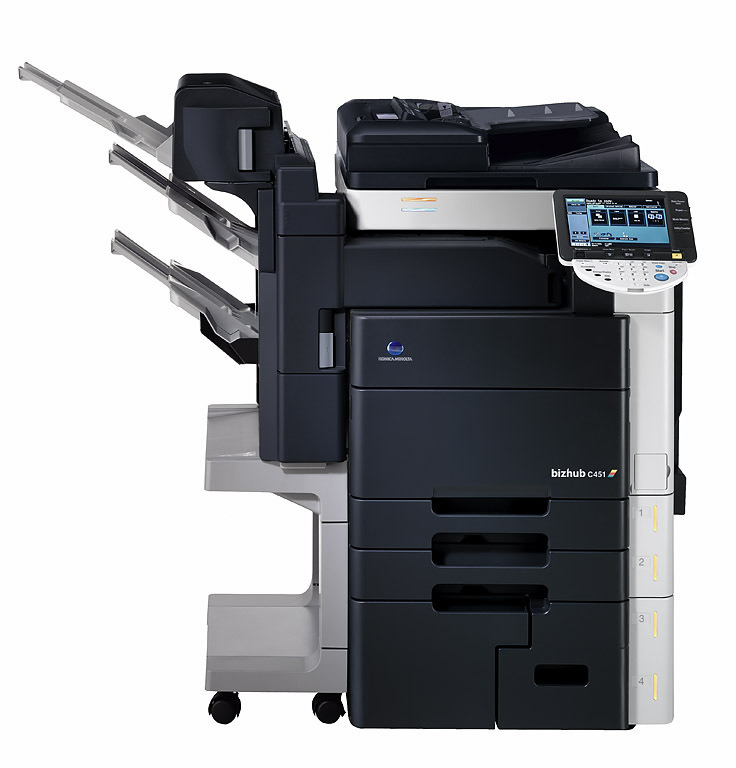 Copy function for the Konica Minolta BizHub C451 has quite a number of similarities to its printer function, such as speed and resolution. Reduction and enlargement options are between 25% and 400%, with a very detailed 0.1% in increments. A multiple copy option is also an added feature for the Konica Minolta BizHub C451, capable of producing up to 9,999 sheets. Aside from the standard copy, print and scan functions, the Konica Minolta BizHub C451 also enjoys internet fax function, with SMTP and POP protocols. It uses Super G3 with speeds of 2.4 Kbps to 33.6 Kbps, and a maximum resolution of 600 x 600 dpi. All these features are topped with Konica Minolta BizHub C451’s minimalist design and an 8.5-inch color LCD touchscreen menu display for easy and user-friendly navigation. This also allows for preview of scanned or copied images, making the Konica Minolta BizHub C451 independent of a desktop or laptop computer in order to preview images for a more accurate and detailed production. If there were a choice for a multifunction printer that can be described as nearly flawless, the Konica Minolta BizHub C451 is a prime candidate. With all its features and capabilities, it is hard to point out Konica Minolta BizHub C451’s weaknesses and areas for improvement. However, I will say that given all its wonderful attributes, the Konica Minolta BizHub C451 comes in at a hefty price, making it a printer suited mostly to offices and businesses willing to spend a lot for a multifunction printer. And while most multifunction devices are bulky, especially those built for high-volume production, this does not make the Konica Minolta BizHub C451’s size a necessary advantage over other multifunction machines. If there were one significant feature that the Konica Minolta BizHub C451 can improve on, it would be its scanning resolution. Though relatively competitive at 600dpi and does produce quality images, it still comes in lower compared to other printers in its class. Review it: "Konica Minolta BizHub C451 "
The Konica Minolta BizHub C451 uses Simitri HD Color Polymerized Toner cartridge with estimated yields of 45,000 and 27,000 pages for monochrome and color copies/prints, respectively. As a robust, high-volume multifunction machine, its maximum monthly volume is at 150,000 pages, with a recommended monthly cycle of 10,000 to 25,000 pages for its print and copy functions.